The bonus story vote and a new web page. The winner is the devastatingly handsome Drago Tell Dramis! I should have guessed he’d win, though there was some strong support for Playdon too. For anyone who has only read Earth Girl, and is wondering who Drago is, he doesn’t appear until the second book, Earth Star. Drago also appears in the Kappa Sector 2788 novelette, and I’m aiming to set the bonus story just after that ends. The story should be on this website in time for you to read it on Year Day 2015! There’s another extra too, this time an extra website page. The new page is all about things that aren’t writing, featuring a painting and some music by talented readers inspired by the Earth Girl trilogy. 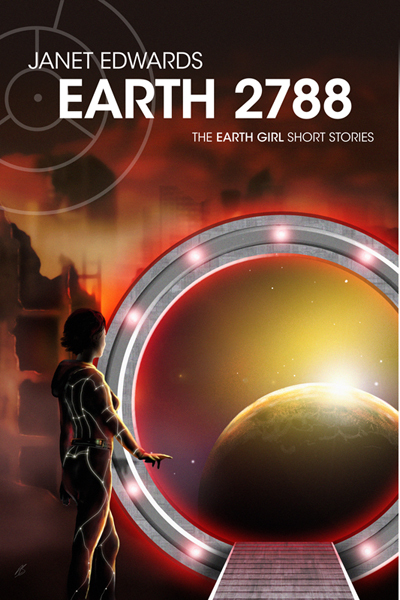 If you’re feeling especially brave, you can also listen to me reading aloud from Earth Girl. 2 Responses to The bonus story vote and a new web page. 😀 I’ll bear it in mind, but boredom is unlikely to happen given my queue of writing projects at the moment.